Thanks for visiting Who's Jumping Now! Here you'll find great deals on bounce house rentals, combination bounce & slide units, water slides and concession rentals. Everything you need for a great celebration. You can count on all our rental units showing up ready for fun at your event, cleaned and sanitized. Let us do the heavy lifting and setup get your party off to a great start. We provide party rental delivery service throughout the greater Niles Illinois area and to communities like Park Ridge, Skokie, Morton Grove, Glenview, NW Chicago, Edison Park, Jefferson Park, Norwood Park, Harwood Heights and many more! Need help with selections? No problem! Just give us a call at (847) 692-7950 and we will be happy to assist you with ideas and suggestions. 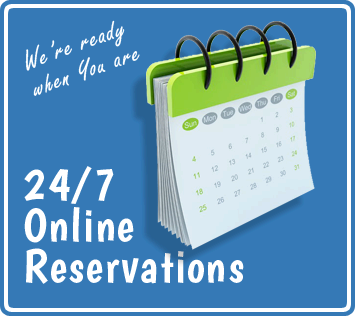 Get your party started fast, and easy with our new online reservation system. You can start now by clicking the "Order By Date" button below and entering your event date and times. That way, as you browse our selections, you'll be shown only the items available on your event date. Or you can simple browse all we have to offer and click the "Add to Cart" button on every product page, and build your reservation. Either way it's as simple as one, two, three! Summer is almost here and that means it's time for some water fun. 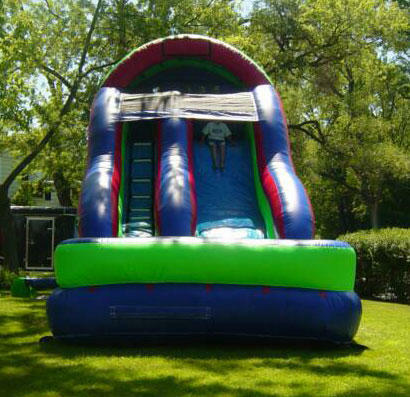 Who's Jumping Now has this awesome 18ft Water Slide ready for a wet & wild party, full of sliding and splashing. If your location isn't right for water use, this slide can also be use dry. Which ever you choose, you can count on smiles all around. The castle bounce house has become a great American classic with it comes to event entertainment. These bright, colorful, bouncey castle attraction attention as soon as they go up. Kids can't wait to get inside for hours of bouncing fun. 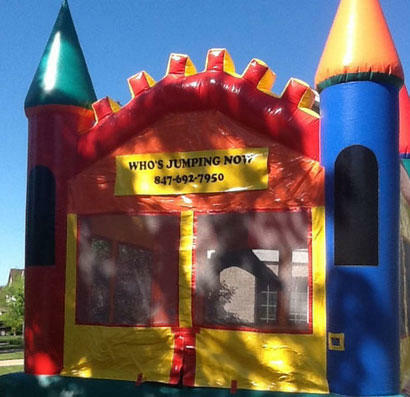 Who's Jumping Now has a great selection of bounce house rentals like this castle bounce, or our Monster Truck and Dream Castle bouncers.